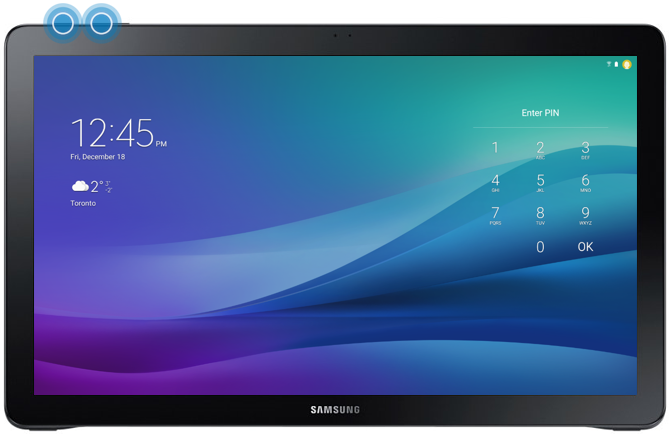 Galaxy View: How do I take Screenshots on my Samsung Galaxy View? A screenshot is a snapshot of your device screen that is saved as a photo. Screenshots will be copied to the clipboard and saved to the Screenshots folder in the Gallery. You can capture a screenshot by simultaneously pressing the Power/Lock key and the Volume down key on the top of your device for 2–3 seconds. Galaxy Tab S2: How do I use my camera from the lock screen on my Samsung Galaxy Tab S2? Galaxy TabPro S: How to Use the Camera on my Galaxy TabPro S? Galaxy Mega™: How do I edit photos on my Samsung Galaxy Mega™?